Advisory Group: Phillip Herman, REL Pacific director; Priscilla Maynor, founder and principal of imaginED Partners; Walter Kahumoku III, director of the Kauhale Kīpaipai; Matt Coleman, executive director and chief academic officer of the Education Policy Improvement Center. Initial Pilot Sites: Ho‘ola Leadership Academy, James B. Castle High School, Ke Kula Kaiapuni ‘o Ānuenue, Ke Kula ‘o ‘Ehunuikaimalino, Kapa‘a - Kaua‘i - Waimea Complex Area, Ka‘ū - Kea‘au - Pāhoa Complex Area, Maui District, State-level Aspiring Leaders Program. Additional pilot sites will be added over the two years of the grant as the pilot progresses. 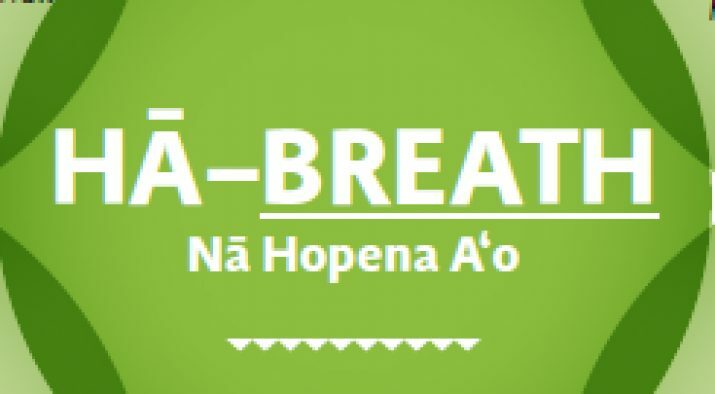 HĀ provides a framework that holds the promise of reaching every child through multiple learning pathways to strengthen HĀ outcomes: Belonging, Responsibility, Excellence, Aloha, Total Wellbeing, and Hawai‘i (BREATH). HĀ outcomes expand the definition of success to include whole child development, social and emotional learning skills as well as academic mindsets, and community readiness combined with college and career readiness. Due to the lack of culturally responsive assessments, there is a need to design and test ways to assess and demonstrate HĀ outcomes that are culturally grounded in Hawai‘i. The team is developing initial indicators of success and related assessment practices from a Hawaiian context by listening for mo‘olelo (generative storytelling) allowing for an assessment model to emerge that is inclusive and represents actual experience and wisdom. Armed with an understanding of these necessary protocols and conditions, schools, complex areas, districts, and the state can (re)design for optimal learning and teaching environments. If we develop initial indicators of success across different proficiency levels from a Hawaiian context, then, through this Hawaiian lens, we will see more examples of learning environments that lead to stronger HĀ outcomes. Culture is an important factor in many aspects of education, including assessment. Current research and assessment methodology rests on a set of dominant, often Western, paradigms that are incongruent with indigenous/native worldviews (Wilson & Darling-Hammond, 2001). Hawai‘i offers a rich context for learning about culturally responsive education in support of other communities that also face widening achievement gaps among its students. By sharing its findings from critically examining how culture is impacting the learning environment at the project’s pilot sites, the project team may help other communities consider their own cultural contexts as places of strength and a foundational means to create new educational pathways leading to shared outcomes.